Technology Entrepreneur, Venture Partner; Independent Director, Dun & Bradstreet Corp, Chairwoman Technology & Innovation Committee; Chairwoman of the Board, Censhare AG; Independent Director Wirecard AG. Dr. Anastassia Lauterbach, has served as director of Dun &Bradstreet since 2013, and is member of the Nomination and Chairwoman of Technology & Innovation Committee. 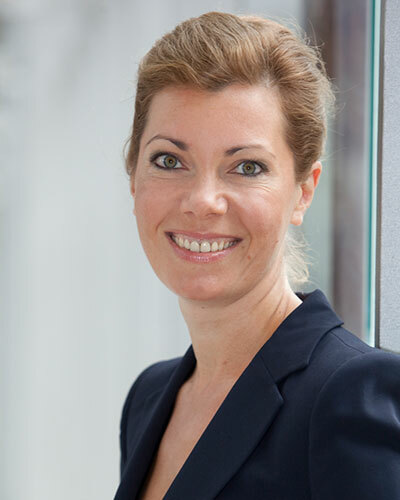 Anastassia serves as a Chairwoman of Censhare AG, a private European content aggregation and data insights provider. She serves on the board of Wirecard AG, a global Financial Services provider. Anastassia is member of the Advisory Council Next Generation Directors for Nasdaq. Anastassia serves on the advisory boards of the Ocean Protocol, a private global blockchain infrastructure and IP company, Cogitanda AG, a private European cybersecurity insurance broker and TM Forum, a non-profit global Association of Telecommunication Companies and their vendors. Previously, Anastassia served as SVP Europe at Qualcomm, a world leader in wireless technologies, from 2011 to 2013. She served at Deutsche Telekom AG, an international telecommunication provider, as SVP business development and investments from 2010 to 2011. She was acting Products and Innovation Officer from 2009 to 2010. During her time at Deutsche Telekom she additionally served as a member of the Executive Operating Board. Prior to Deutsche Telekom she served as Executive Vice President, Group Strategy at T-Mobile International AG from 2006 to 2010, and prior to T-Mobile, she served from 1996 to 2006 in various operational and strategic roles at Daimler Chrysler Financial Services, McKinsey & Company and Munich Reinsurance Company. She is Chief Executive Officer and founder of 1AU-Ventures and currently advises several U.S. and European based AI and cybersecurity companies and Investment Funds, e.g. Evolution Partners and Analytics Ventures. She is Senior Advisor for Artificial Intelligence at McKinsey & Company. She trains boards in cybersecurity and cognitive/ AI and robotics related technologies and their links to corporate governance. She advises ITU, a United Nations organization, on AI policy and governance. She is leading author in “Artificial Intelligence Imperative. A Roadmap for Businesses”. The book was published by Praeger in April 2018. Anastassia contributes several chapters to the book on Artificial Intelligence and Law by the American Bar Association, which will be released in early 2019. Anastassia has a PhD in Linguistics and Psychology.